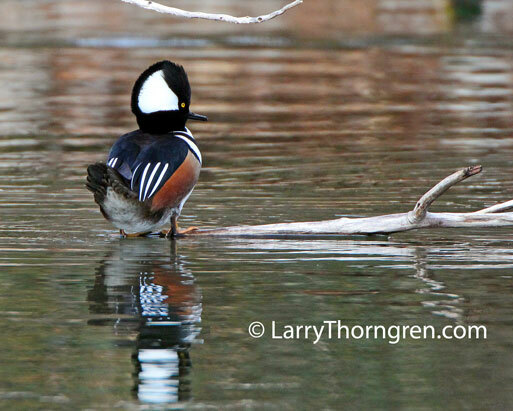 This male Hooded Merganser is resting on a branch in a pond in Boise, Idaho. These little ducks are rarely seen in this area. I was fortunate to have several of them visit this winter. 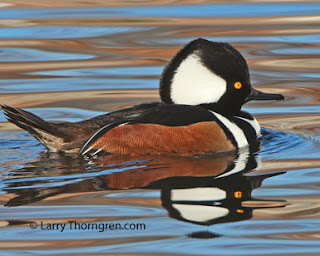 I found this Hooded Merganser in a pond here in Boise where I am staying. The males are in full courting colors and are courting the females. I took this photo a few years ago while hiking up Wilcox Pass in Jasper National Park. The Ram had found a small draw in the high country with willows along the small stream. He seemed to relish eating the willow leaves. Bighorns are the easiest of all wildlife to approach and photograph.They are not afraid of humans unless hunted. I spent a few days in the Lost River Mountains above Mackay, Idaho and was able to get several photos of these cute little rabbits. They are dependent upon Big Sage Brush for their survival and have diminished in number as the sage has been plowed, sprayed and overgrazed. This Snowy Owl is trying to land in the top of a Juniper tree. The branches are not heavy enough to support its' weight and it is flapping to maintain balance. I saw seven of these beautiful birds yesterday before leaving for Yellowstone. This Bohemian Waxwing is just taking off. These birds feed on juniper berries here in Montana during the winter. They have a very rapid digestive system..The berries may take less than one half hour to complete their travel through the system. I found eight Snowy Owls in Polson today. This is one that I took yesterday. The owls have migrated here from the far north and are in town sitting on rooftops during the day. They must be finding voles or field mice to eat, because they all look healthy. I took this photo yesterday. It is not as sharp as I would prefer, but it was the only action shot I got. Snowy Owls have migrated South throughout North America this winter and no one knows quite why. The owls I have seen the past two days (5) have all looked healthy and were active and alert. I was looking through some of my files and found this photo I took a few years ago near Canyon Village in Yellowstone. 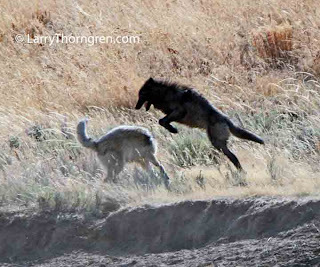 This wolf is no longer with the Canyon Pack and hasn't been observed for two years. I took this photo from my truck window as the pack went by me. 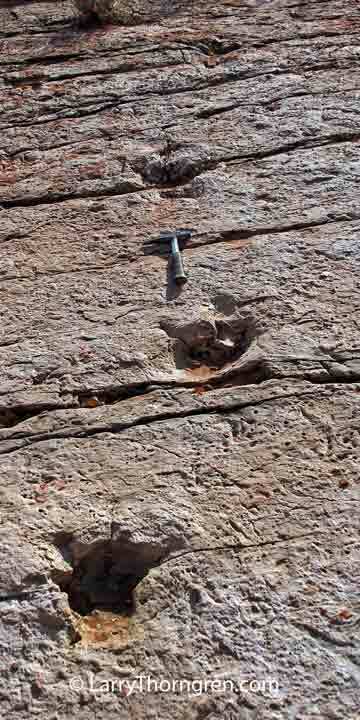 This Desert Bighorn Ram has just descended a cliff and is walking up the bottom of a very rocky canyon. 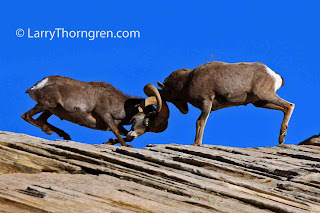 I usually do not like photos of Bighorns from above, but this photo turned out well. 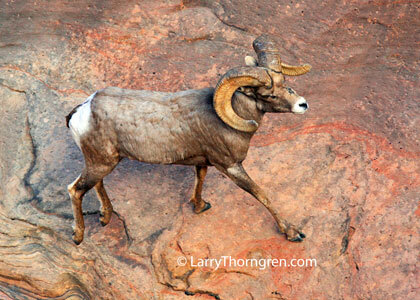 This is the largest ram that I photographed in Zion last December. The Bradford Exchange has produced a five plate collection of my Yellowstone Wolf Photos for sale. This is the first time they have featured a wildlife photographer on any of their collector plates. I feel honored to have them use my photos in this series. WildLife Services uses airplanes like this one to shoot wolves from the air in western states. This agency kills thousands of animals each year to subsidize the livestock industry in the west. 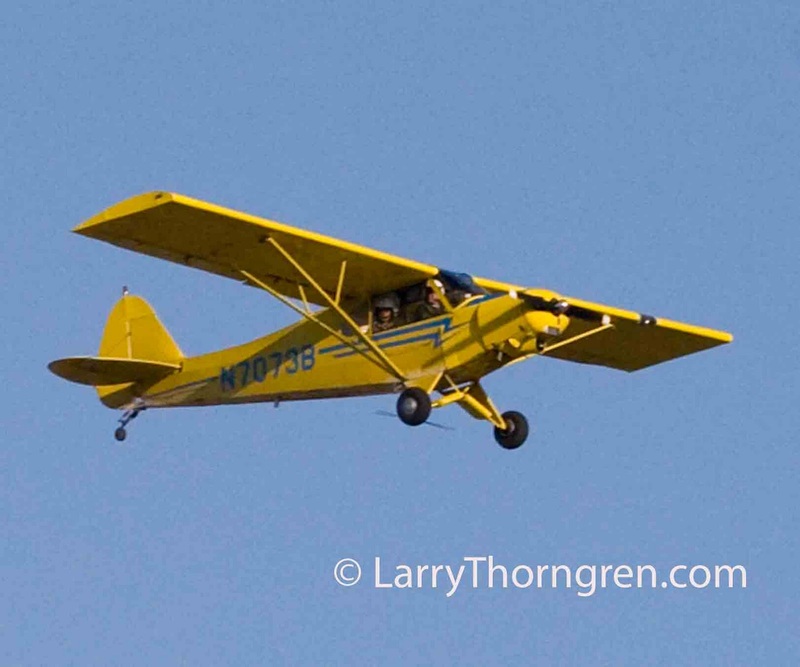 This plane was buzzing wolves in Yellowstone when I took this photo. Sometime a photographer sees a lot more than he can adequately photograph. These pups were too far away and I was shooting into the sun, but I enjoyed watching them play for over an hour about a month ago. I took lots of photos that are good enough for this blog, but will not be sharp enough to enlarge to any size. Right now in Idaho, where I live, pups like these are being shot, trapped, and snared by the neck in the Idaho Fish and Game Department's War On Wolves. 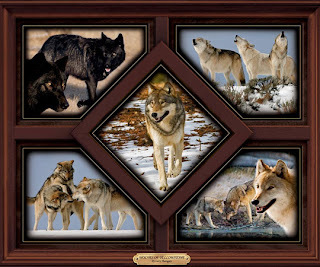 The department, at the request of Idaho Governor Butch Otter, is going to kill over 600 wolves this winter out of a total number of about 850. I have always been a moderate on wolves, but this is not good management. It is a callous disregard for anything close to fair chase and good game management practice. Treating wolves this way is criminal. 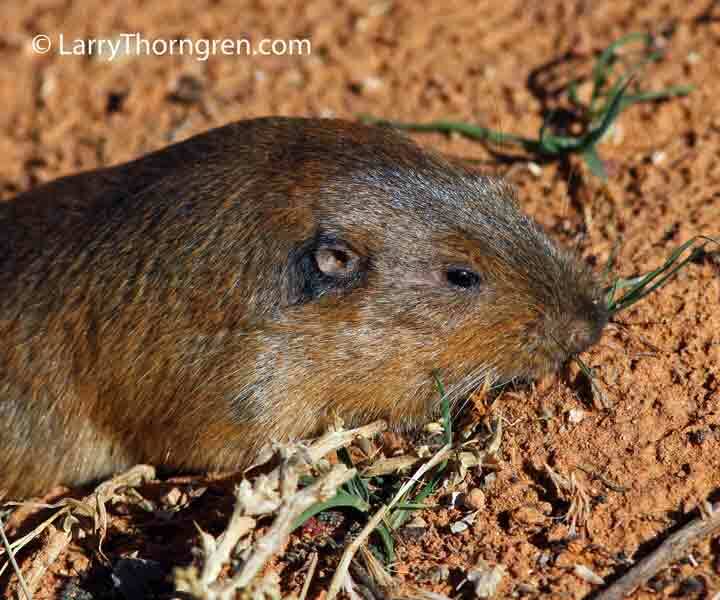 I hope this is a pocket gopher. I don't have a mammal ID book with me. I was sitting at my picnic table in the Red Cliffs Campground here in Utah when this little rodent started coming part way out of its' burrow and clipping grass and stuffing it in its' pockets. You can see the bulge (pocket) where the grass is stored below and behind its' ear. After it had its' pockets full, it would disappear into its' burrow for a minute to empty its' pockets, and suddenly appear and start the whole process over again. This is the first time I have seen these animals active during the day. They are usually nocturnal. Here is a link to a photo of a trapped wolf in Alaska. Anyone who would treat any animal like this needs to be jailed. I found this strange item embedded in a coarse sandstone boulder along with two others. This one and one other had been broken open sometime in the past millions of years. The sandstone boulder it is in seemed to be an erratic. That is it didn't match the red sandstone it was sitting on. It appeared to be part of a deposit left by a flood as there were other strange rocks around the area that didn't seem to match the red sandstone either. The round structure at the end looks a lot like a yolk. Anyone out there that knows what this is? These rams were knocking heads frequently all one afternoon, but were often just out of sight over the ridge they are on. The sound of the collisions could be heard for close to a mile in the quiet desert air. 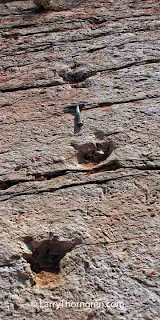 I went to a Dinosaur Museum in St. George that had lots of tracks on display. I thought to myself "I could find some of those." I am camped about 15 miles north of St. George and so I went looking. I found a slab of ancient greenish rock and there were quite a few tracks on it. This trail had six tracks about 3 1/2 feet apart. There are 4 of the tracks in this photo. 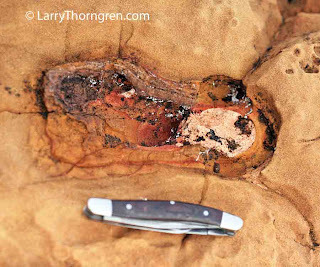 I will report my find to the BLM office in St. George on Monday and see if it is important or not. This area was once the shore of an ancient fresh water lake where the dinosaurs hunted each other and caught fish to eat as well. These tracks were obviously put down in thick sticky mud and were not perfectly clear, but it was fun to find them by just going out and looking. Just 3 toes on each foot were visible and they don't look big enough to be a T-Rex. You can use my rock hammer to compare for size. Here is a photo I took this summer a short distance from where I live. 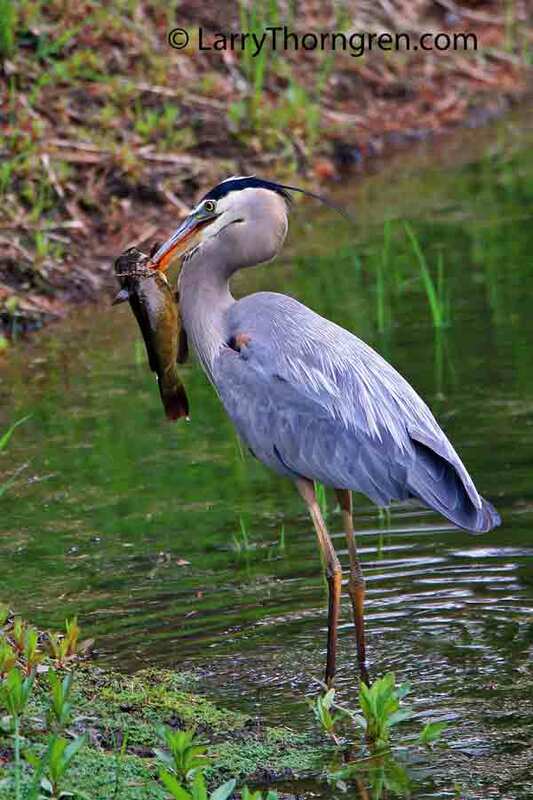 This Great Blue Heron is trying to figure out how to avoid the spines on this Bullhead Catfish it has speared in order to swallow it. 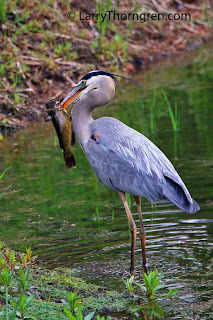 If you enlarge this photo by clicking on it, you can see the heron's sharp bill has completely penetrated the catfish and is sticking out the other side.